When most people think on an aasimar they see a beacon of all that is good. 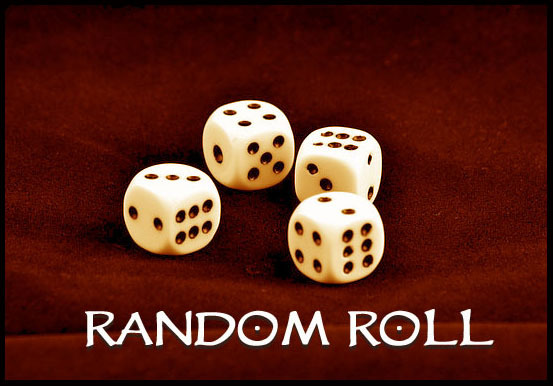 The celestial blood that flows through their veins can be just as warped as any one else's, and we see that in this week's random rolls. Quick, tough, and observant our aasimar has a lot going for him, except he's either ugly or unpersonable. Of Mwangi heritage he resides in the Vudrani enclave of Jalmeray and the blood in his veins comes from the Garuda, an outsider with ties to the Vudrani gods. With a lot of interesting pieces of information we'll have to wait till Friday to see what we shall make of this thoroughly evil creature. Major Childhood Event: [Competition Champion] You distinguished yourself at an early age when you won a competition. This might have been a martial contest of arms, a showing of apprentice magicians, high stakes gambling, or something mundane like an eating championship. In the comments please tell us what character you would make with these disparate pieces information? What class would this Aasimar naturally gravitate towards? How did a Mwangi family end up in JalmerayWho was the love he killed for? Why has he chosen an outer god as a patron? And don’t forget to stay tuned Friday when my background hits the CRB.